Shout out to our new friends at Drexel University and Jefferson University! Board members from APAMSA chapters of Philadelphia College of Osteopathic Medicine, Drexel University, and Jefferson University came together for dinner at Banana Leaf and some late night boba tea at Kung Fu Tea. It was a fun time, and it was great to meet everyone! Stay tuned for more cross chapter collaborations! We are an organization of medical students committed to addressing the unique health challenges of APA communities through education, outreach, advocacy, and service. 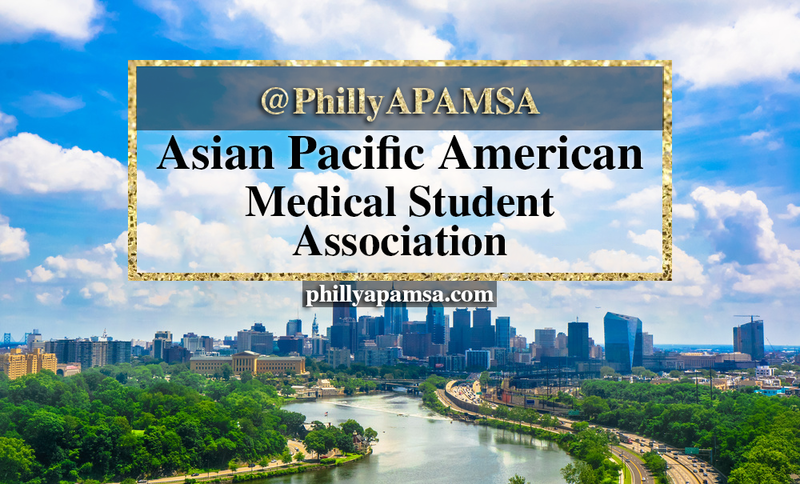 APAMSA stands for Asian Pacific American Medical Student Association. We have 84 active chapters in different med schools all over the States. Perelman School of Medicine at University of Pennsylvania. To read more about why APAMSA is important for Philly's community and how to join us, click on the "About Us" page. Copyright © 2016 Philly APAMSA Any infomation shared on PhillyAPAMSA.com is for informational purposes only. Members of Philly APAMSA are not responsible for interpretation or use of shared information. Check with your healthcare provider before making lifestyle changes, including purchasing products or following advice.